With the Cowboys up 10-7, Tony Romo got drilled into the ground by Giants LB Michael Boley after he threw a 14-yard pass to Miles Austin. Romo left the game with a fractured left clavicle. 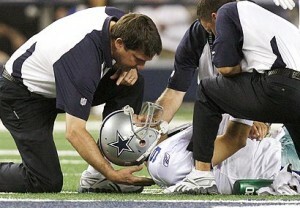 There is no word on how much time Romo will miss but he won’t be back for the rest of the game against New York. 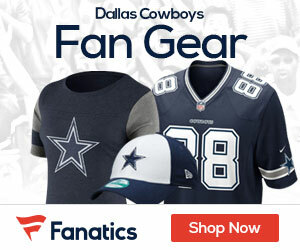 Backup quarterback Jon Kitna has come in and been largely ineffective. Kitna has not thrown a pass in a competitive game in almost 2 full years. The Cowboy are going into halftime down 24-20.